It's been called the de-facto source for all things go-go. 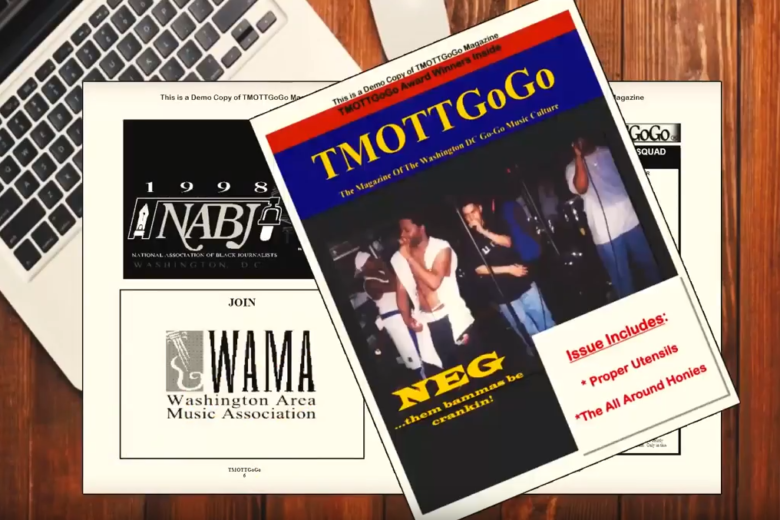 A documentary tells the story of D.C.-based TMOTTGoGo magazine, more than 20 years later. WASHINGTON — For more than 20 years, the online magazine TMOTTGoGo has served as the go-to source for all things go-go in the nation’s capital. Now the publication, short for “take me out to go-go,” is the subject of its own feature-length documentary. “A lot of people thought go-go had kind of disappeared — TMOTT helped awareness that it was still continuing on, and it helped it to continue,” Kevin “Kato” Hammond told WTOP. Originally a database operator during the late ’90s, Hammond has the nascent internet to thank for his decision to take on the mantle of go-go’s historian. After plenty of searching through the early web, Hammond — a longtime go-go devotee and musician — concluded that the genre needed a better voice. Boosted in the mid-70s in small no part by local icon Chuck Brown, go-go struggled to gain traction outside of the Washington area. The new documentary seeks to dispel the notion that the genre has disappeared entirely. It follows how TMOTT grew hand-in-hand with the Washingtonian hip-hop and funk fusion it set out to preserve. “TMOTTGoGo Inside the Pocket: The Story of Go-Go Music’s Magazine” is available to watch on Amazon. WTOP’s Kyle Cooper contributed to this report.